Could someone recap what was discussed on discord? 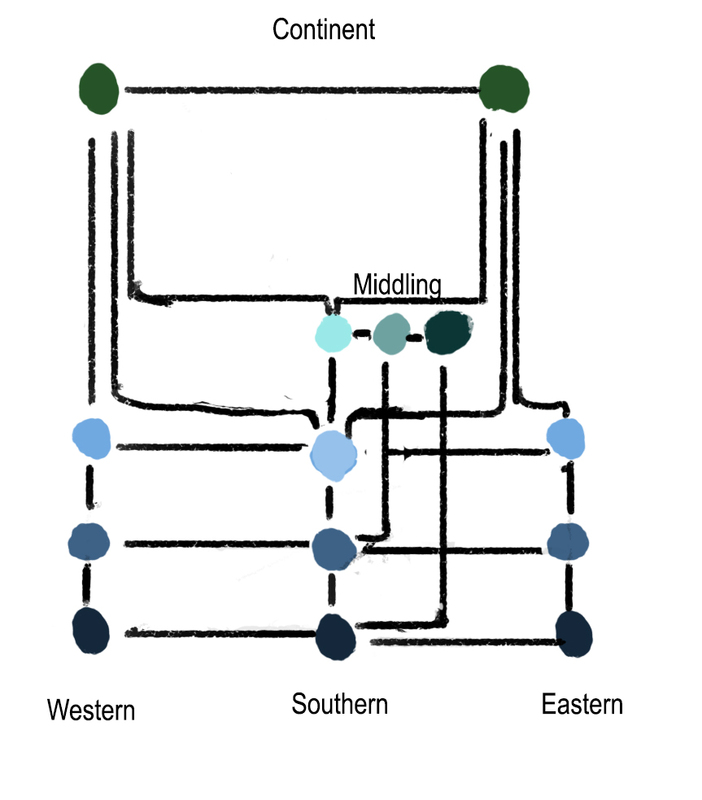 I think we are pretty much all agreed that the patch map should be a node and line diagram where each node is a patch and each line shows a connection between adjacent patches so species can move between them. Moreover the idea was brought up for having different icons for each biome, which I think is a nice idea. A 2D top down map as if you were looking from above. Something like this. A 2D side on map as if you are looking at the ocean from the side. Something like this. Some sort of cylindrical map which can be rotated? A more unusual top down projection, maybe like this. I think the issues for choosing between them are things like, is it important to have connections which wrap around the whole planet? If so how do you represent that. How important is it that patches which are close in depth should be close on the map? How important is it that patches which are close in longitude should be close on the map? Does it matter if there are line crossings or lots of line crossings? Enforcing that no lines cross will restrict the things that can be represented quite a lot. 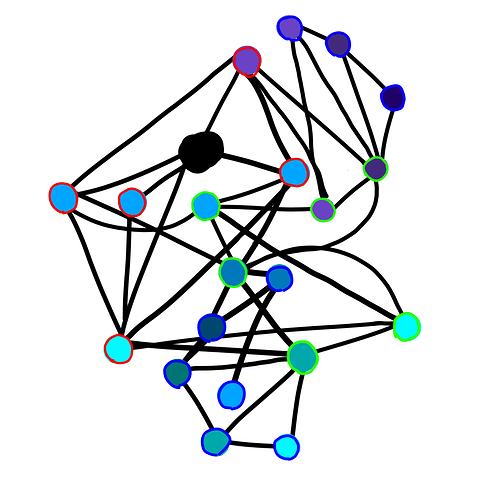 I think in general any node and line graph in 3D can be projected in to 2D so you can represent any patch layout with any map. So I‘ll transport my question over here. I then challenged everybody to do a sideways view of this situation while accounting for depth (the seperation of ocean surface/mid-ocean/ocean floor). 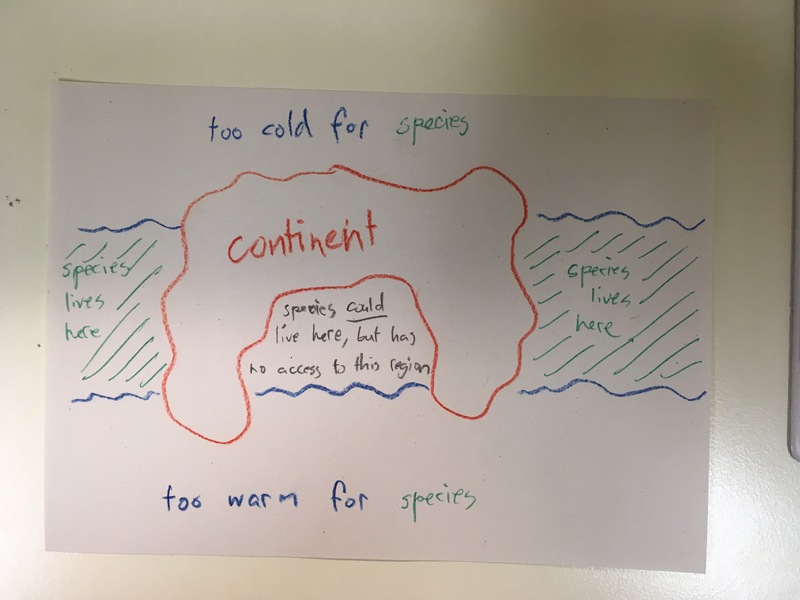 I had a go at drawing what you’re talking about. It’s pretty tricky either way I think. 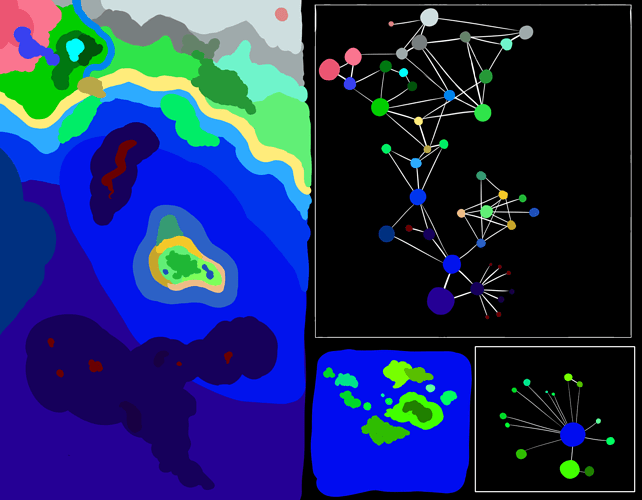 You could also connect the top right ocean node to the top right coastal node , etc. Its not one to one, but you get the point. 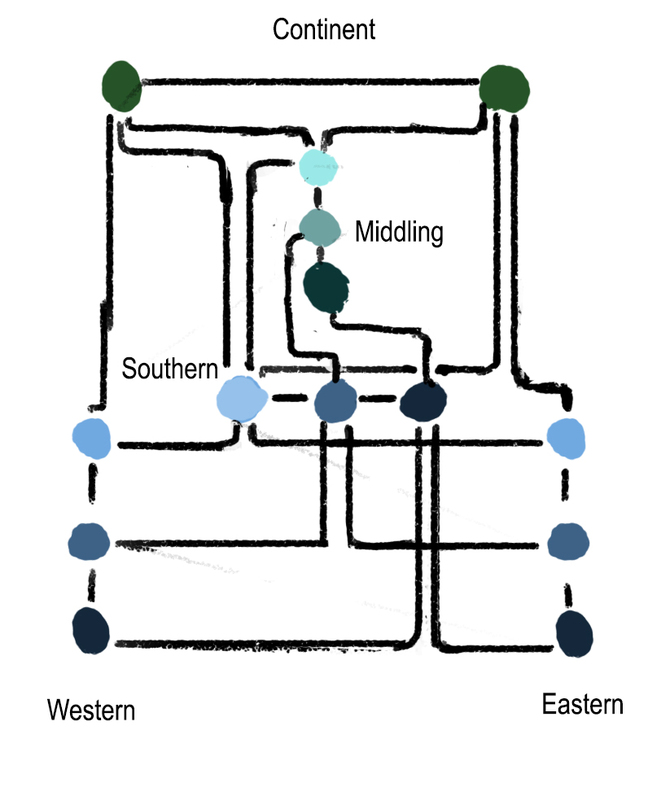 Here’s a map I made a while ago, it’s the one @DonGororo modified here, with only straight lines connecting nodes with absolutely no concern for geography or depth, only the connections between nodes and organizing them in a way so that most connections are clearly visible; it’s not top down. @Untrustedlife I understand why you’d want to make the thing cleaner, but you’re really sacrificing a lot of pretty important connections. 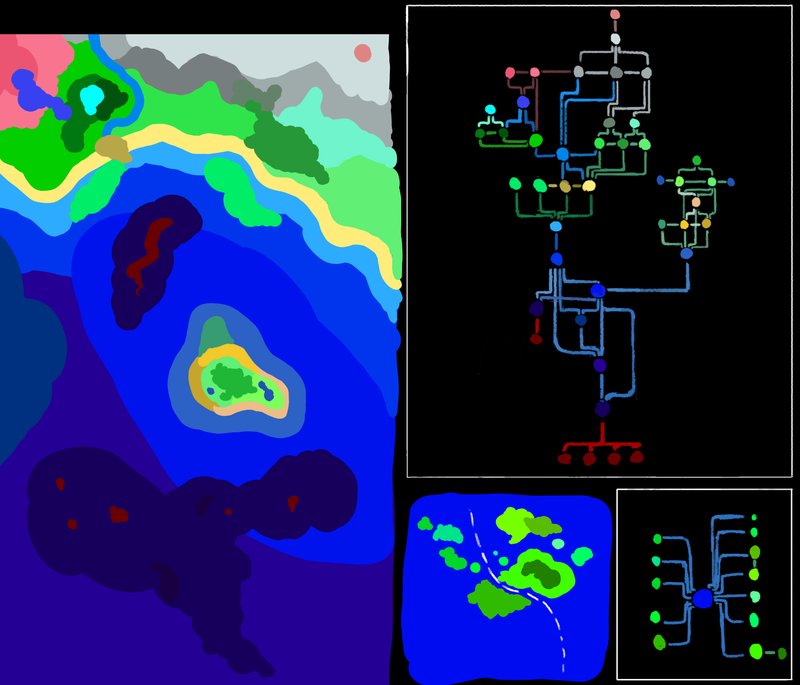 In your side view, if you wanted to get from the leftmost blue node to the one in the middle, you’d have to go through the depths of the ocean, with two deep-ocean patches in a row, with a mid-depth patch on either side. You’ve made the journey completely impossible to pretty much any algae species, or anything that doesn’t want to adapt to different amounts of pressure over 7 different patches. In this example, to travel across teh oceran, well, you simply travel across teh ocean, but its still not as messy. Now you can just travel straight to the ocean patch that’s supposed to be isolated. As you can see they don’t correlate exactly with the actual map and that’s because they primarilly represent the conections between biomes. Think of it as a Subway map, it doesn’t represent how the subway tunnels look, it represents where every line goes. Algae should be able to travel across the upper regions of the ocean where light is abundant, not forced into deeper regions. Your second map seems better, but it still seems a little awkward. 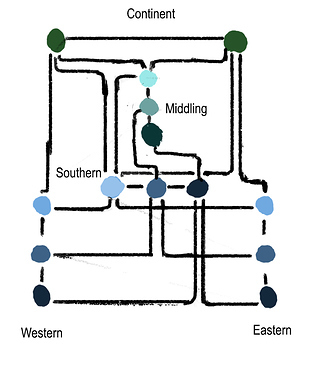 If you want to the move from the leftmost light blue node to the rightmost one, you either have to go into the southern ocean, into the isolated bay, back into the southern ocean, then back up again; or you have to go deep underwater, moving through 6 patches, 3 of which are medium-depth (purple). That’s what I’m assuming anyway, I’m not sure what the darker blue nodes are. Not entirely sure what’s going on with the newest map, it looks cleaner though. 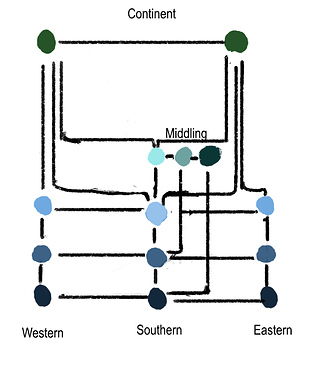 In general I think it’s important for all connections to be available for neighboring areas. I like Goro’s though I feel as ocean regions increase things might end up getting cluttered and separated. I typed that before you had even posted that, I can barely even keep up with all of this because you keep rapidly posting changes to your design. Also what do your colors mean? 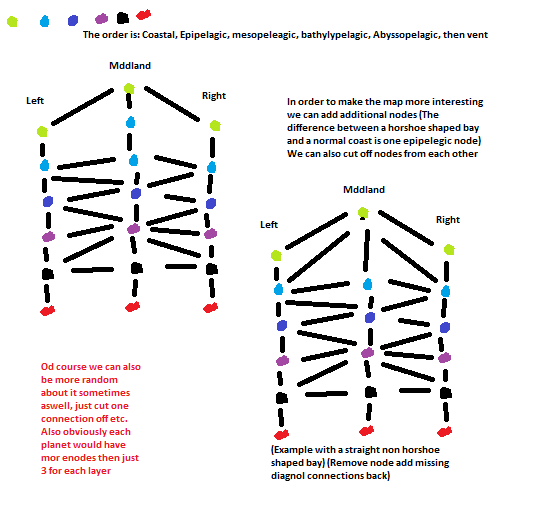 Yeah, I think nodes should cross as little as possible but even then it doesn’t make the map harder to read so it’s not a big issue. In fact i have more ideas to improve the patch map’s readability, like highliting nodes when the player hovers it’s mouse over them or only showing nodes conected to the patches where the player species is and of course adding icons for different biomes. I’ll make a more detailed concept soon. I’ve already answered this on discord but I’ll do it here too in case anyone had the same question. 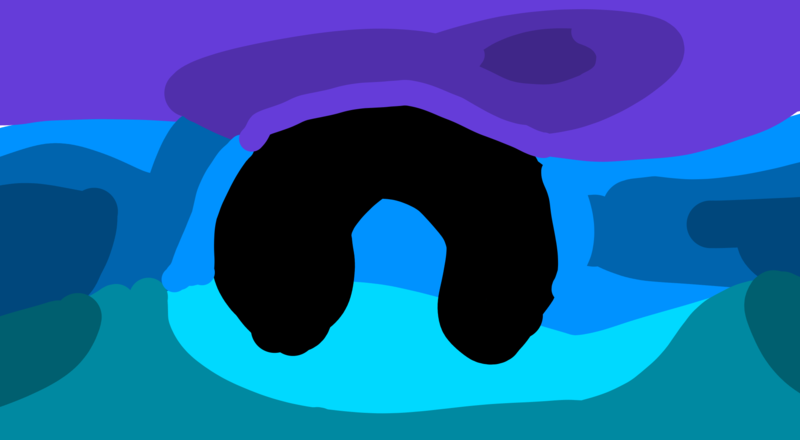 The darker the color is, the deeper the biome.